After your roof has been professionally installed or repaired, make sure it’s coated with the right materials to prevent any further damage to your roof, especially if you live in an area prone to hail damage or heavy rains, which can often wreak havoc on roofs in the Baltimore area. A good roof coating is essential to keeping back leaks and other damage to your roofing materials. You won’t have to fix a roof leak if you invest in good coating from the start. One of the best things about roof coatings is their ability to protect your roof from leaks and cracks and solve a large number of roof leak problems. Roof coatings can extend the years of any roof you have before replacement, helping you enjoy the benefits of a lifetime roof without installing an entirely new structure. 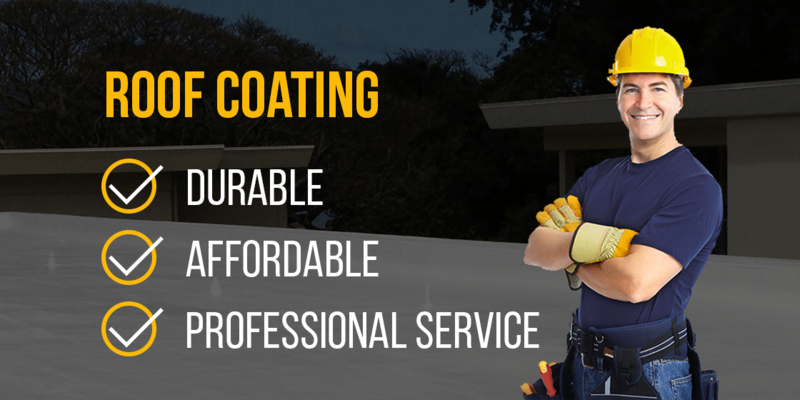 Roof coating helps seal out moisture, and protect against harsh weather, sun and water. Reflective roof coating can even reduce energy costs. The decision to apply a roof coating can add up to 25 years to the life of your roof, essentially doubling its typical lifespan. Choosing a cool roof coating can also control temperatures keeping your roof cooler and in turn, your entire home, lowering air conditioning bills during the summer months. Roof coatings, like roof repair and maintenance in general, will save you money in the long run. If you’re unsure if your roof has a coating, call Four Seasons Roofing and we’ll send a Roof Inspection Specialist to assess your roof and provide detailed, professional direction on what kind of coating best fits your roof. Our team will recommend acrylic, asphalt or solvent-based coatings based on your style (slanted or flat), shingles and other roofing materials. If you’re looking to save money and extend the life of your roof, contact a roofing company with experience in coating roofs with high quality and affordability.